Episode 12 is live on YouTube! 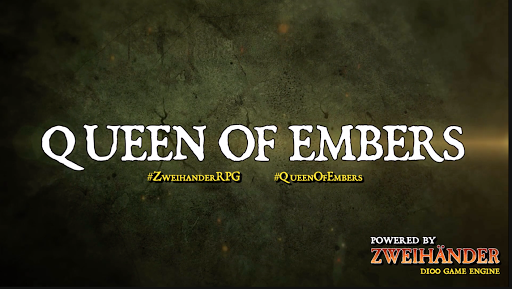 Check us out as we continue to develop Zweihander Grim & Perilous campaign of “Queen of Embers“. Welcome back to “Queen of Embers”, a tabletop actual play of political intrigue and investigation using the ENnie award-winning Best Game & Product Of The Year Zweihänder Grim & Perilous RPG. Join us as our agents continue their investigation into the Reek!